Live like a champion at Providence at Champions! Providence at Champions Apartments offers the best in service, affordability, comfort, and convenience within the Harris County area. You’ll find a beautiful, friendly neighborhood, generous amenities, and unique apartment layouts all supported by an expert staff. 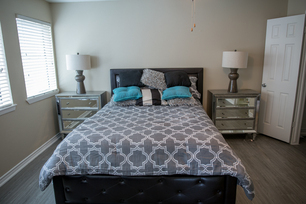 Our 1 and 2 bedroom apartments are both spacious and luxurious. You’ll thoroughly enjoy the private balcony access, gorgeous stainless steel appliances, smooth granite counter tops, large walk-in closets, kitchen backsplashes, crown moldings, washer/dryer connections, and vinyl wood flooring. With space ranging above 1000 square feet, you’ll have plenty of room to bring along a furry companion as well! Our community amenities bring our residents together! 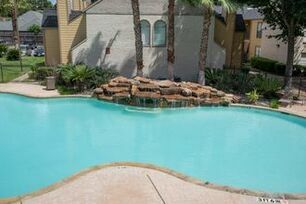 Enjoy our beautiful, super-sized resort style pool to get away from the Texas heat! Get in shape for the summer with our top of the line fitness center! Rest easy with our on-site maintenance services and courtesy night patrols. Don’t wait any longer, come by our leasing office today and our professional staff will be more than happy to offer tours of our complex. Live in comfort and luxury with Providence at Champions!